With elegant, cozy interior decor and an ambient atmosphere, La Ferme has brought a certain modern spin on French cuisine to the table since their November opening. Not to mention what they actually bring to your table- which is certain to please as well. Situated in West Boca, La Ferme is somewhat obscurely placed, making it a local gem with a not so surprisingly loyal and growing following. 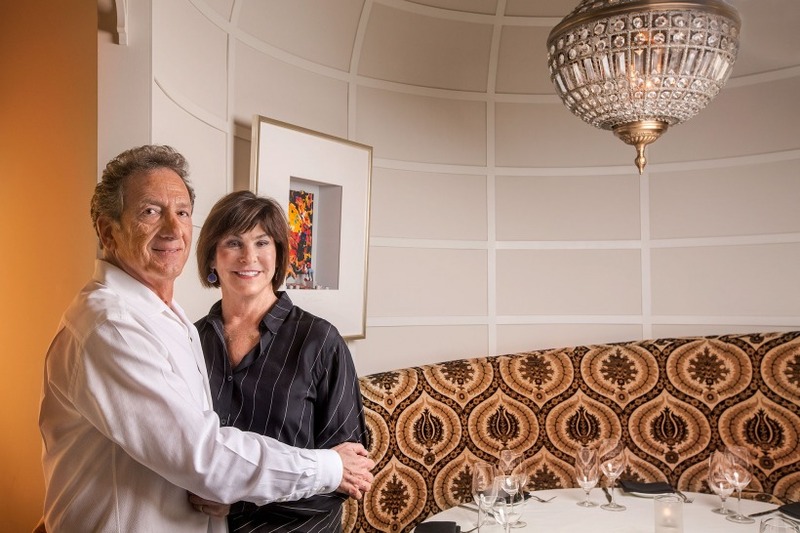 For owners and Manhattan-restaurateurs Alexandra, Laura, and Bobby Shapiro, success is a familiar concept, with their first South Florida endeavor being no exception. The warm, inviting space, decorated with beautiful chandeliers, an inside bar, and secluded booths offered an atypical and contemporary dining experience unique to its brand. The fairly hushed environment was ideal for a quiet sit-down dinner, perfect for when you’re looking to splurge a little. 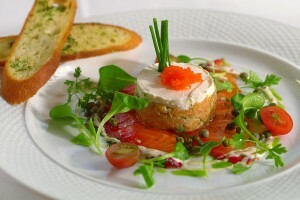 The service was immediately attentive, offering personal favorites and recommendations. 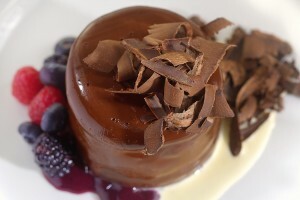 At a glance, the menu details a handful of decadent, off-the-beat-and-path dishes, each with different takes on classic favorites. Its minimalist descriptions and selective array of dishes suit the space and serve as to not overwhelm. Appetizers offered traditional French and local favorites. a personal favorite. As an avid seafood fan, I was particularly fond of the almost citrus-y, melt-in-your-mouth, buttery flavor. They were served in a golden raisin caper vinaigrette, with a parsnip puree, and fennel pollen dust, which was as mouthwatering as the description suggests. For dessert, as soon as I saw crème brûlée on the menu, I was sold. La Ferme’s rendition was especially refreshing- a lavender crème brûlée, prepared beautifully, garnished with strawberries and a powdered cookie. It was a perfect end to the meal and left a clean, fresh taste on the palate to part with. You truly get what you pay for here- and perhaps a bit more. La Ferme’s upscale decor, well-designed menu, attentive staff, and exemplary cuisine speak to the experience of the owners. The experience was one without complaints and I highly recommend you foodies put this on the very top of your to-do list. To make reservations, visit La Ferme’s website here. Looking for somewhere other spots to dine at? We’ve got you covered.